This is a great little tabletop saw that is perfect for the weekend do-it-yourselfer. 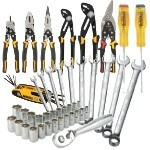 It's easy to set up, very lightweight and precise. 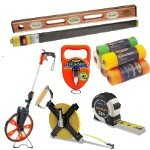 The 1/2 hp motor provides plenty of power for projects like cutting counters or floor tiles. The sliding platform allows you to move your work into the blade with a smooth and controlled motion giving you square and accurate cuts every time. This 7 in. 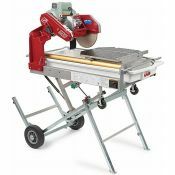 versatile and compact tabletop tile saw is designed for the do-it-yourselfer with a high torque, universal motor. 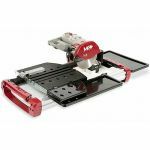 Versatile and compact tabletop tile saw designed with the "do-it-yourselfer"